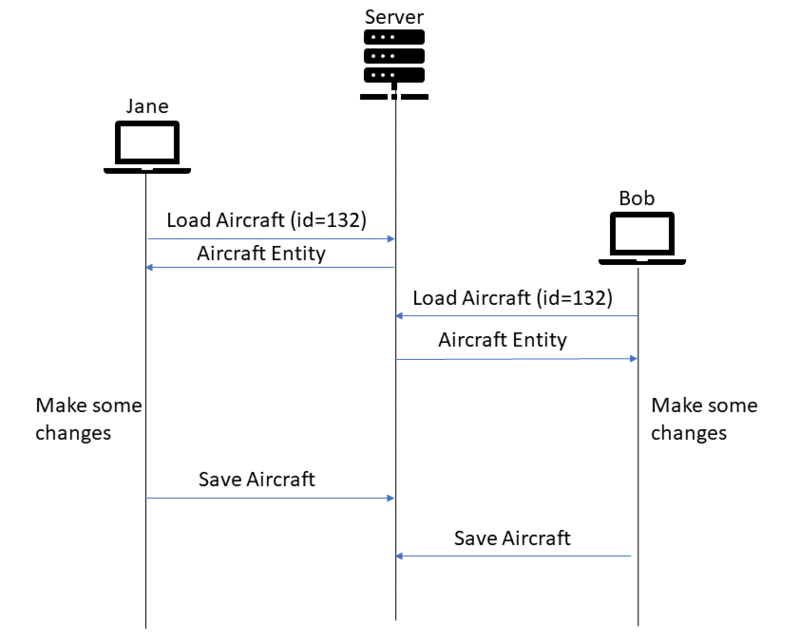 Finally, we will modify the query used to load Aircraft entities so it returns the RowVer column. We don't need to change any of the Dapper code here. Now that we have the row version loaded in to our model, we need to add the checks to ensure that one user doesn't accidentally overwrite another users changes. To do this, we simply need to add the RowVer to the WHERE clause on the UPDATE statement. By adding this constraint to the WHERE clause, we we ensure that the updates will only be applied if the RowVer has not changed since this user originally loaded the Aircraft entity. Using SQL Server's rowversion column type makes it easy to implement optimistic concurrency checks in a .NET app that uses Dapper.